OSCE Representative on Freedom of the Media claims that international organizations should be blamed for failure to protect journalists. MOSCOW, November 21 (Sputnik) – International organizations should be blamed for failure to protect journalists, Organization for Security and Co-operation in Europe (OSCE) media freedom representative said Friday. 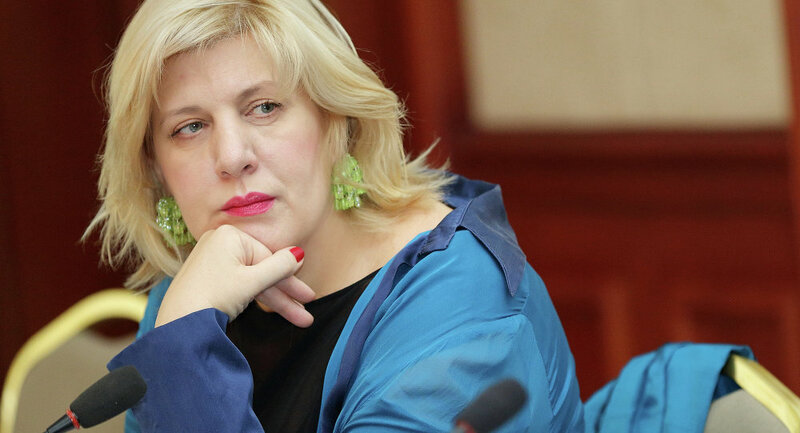 "I condemn international organizations like ours for not doing enough when it comes to journalists" safety," OSCE Representative on Freedom of the Media Dunja Mijatovic said in a keynote speech at the European Federation of Journalists (EFJ) annual meeting in Moscow. Mijatovic outlined the lack of safe working conditions for media workers across the OSCE region in Missouri, Hungary and Macedonia, then turned the spotlight on "the country where the problem of safety became most acute this year: Ukraine." Despite invitations, Kiev along with eight European media organizations snubbed the EFJ meeting, a move to which the media freedom representative reacted as "their right, but I do not think boycotts can bring anything." Press freedom in Ukraine has been "repeatedly violated" in the wake of military operations against pro-independence forces in eastern Ukraine launched by Kiev in April. "In this conflict alone, hundreds of journalists were attacked and as many as seven were killed," Mijatovic addressed delegates of the two-day meeting. The European Federation of Journalists is a branch of the International Federation of Journalists (IFJ) representing over 300,000 journalists across 40 countries. 55 delegates from 28 countries took part in the annual meeting at the House of Journalism in Moscow. A report published late October by the Committee to Protect Journalists revealed that of the 370 journalists across the world murdered in direct retaliation to their work since 2004, only 10 percent of the cases led to an arrest or conviction. The report found that 56 journalists in Russia have been murdered since 1992.